Because we work in the Washington D.C. Metro area, we see many different uses of natural stone and the way it accents different aesthetics of a home. For a large mansion with sweeping staircases, a lofty and large crystal chandelier looks fantastic in a high-polished marble foyer. However, a large rustic farmhouse in upscale Middleburg can benefit from the look of patina on its marble. A honed finish fits the aesthetic. All of these factors must be considered from a design standpoint to fit the aesthetic of the home. Maintenance of these finishes presents a completely different mindset and understanding. With stone impregnating sealers, a polished finish presents the stone pores closed as much as possible. This adds to the lifespan and stain resistance of the stone. Expect a 7- to 9-year protected surface with a quality sealer, and longer with a finish. A honed finish is quite different. The pores aren’t as closed, and you should expect to reseal the surface annually to continue the stain resistance as a polished finish. The honed finish presents the pores in an “open” state (much more than a polished finish), and the sealer wears quickly due to its exposure to light cleaning methods, such as water only. If not sealed, water marks and liquid contaminants penetrating into the stone make it difficult to clean or remove. In the case of black granites, the underside of the stone offers the true color of a honed piece. It’s gray and gets the rich dark black either when polished or darkened with enhancing sealers. While leathered finishes are darker in color and may be brought to a high-grit diamond impregnated leathering brush finish, the end result is difficult to replicate in the field if damaged or in need of repair. In order to blend the finishes correctly a larger area may need to be refinished, if not the entire surface. In conclusion, while honed and leathered finishes are beautiful and unique, finishes are more difficult and costly to maintain over time. 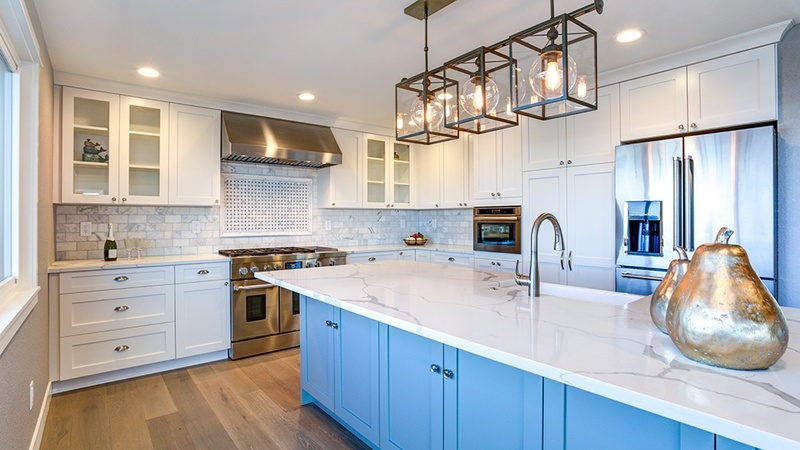 At Marble Doctor, we offer a Professional Stone Evaluation that can be used for assistance when choosing natural stone for your home with the viewpoint of maintenance as the deciding factor.